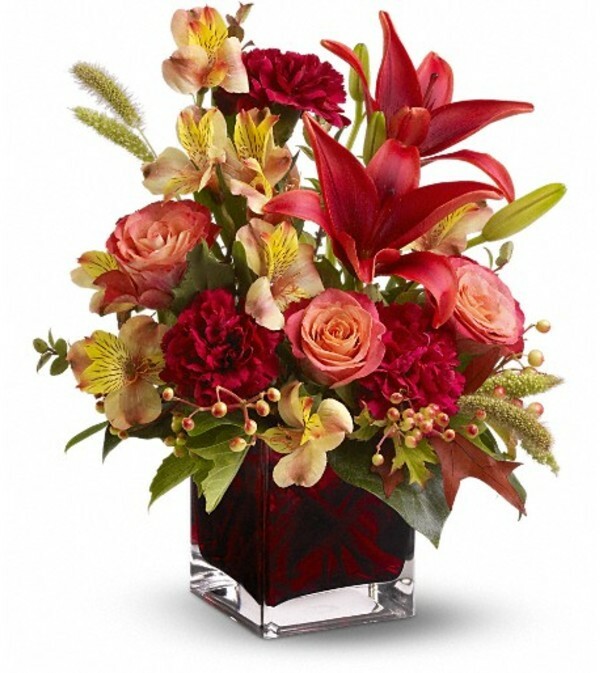 As bright and intense as a hot Indian summer afternoon, this deep red, orange and burgundy bouquet - complemented by autumn-hued oak leaves and feathery millet - is arranged in a modern glass cube vase that's a luscious shade of plum. 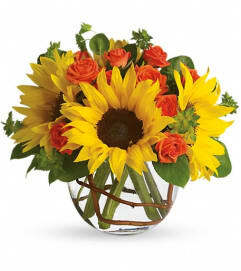 Who wouldn't love to receive such a gift? 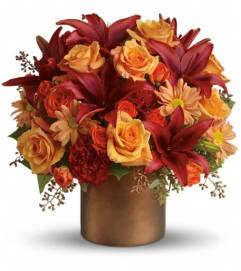 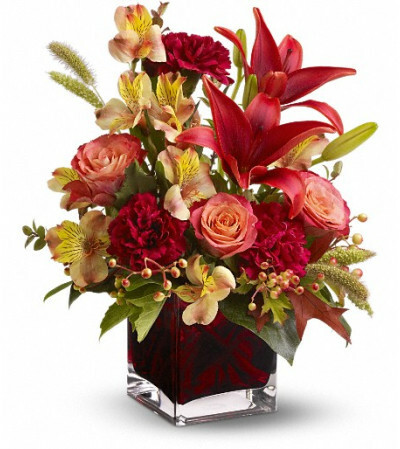 Orange roses and alstroemeria, red Asiatic lilies, burgundy carnations, huckleberry and berries - accented with artificial oak leaves and millet - are arranged in a plum glass Teleflora cube vase.